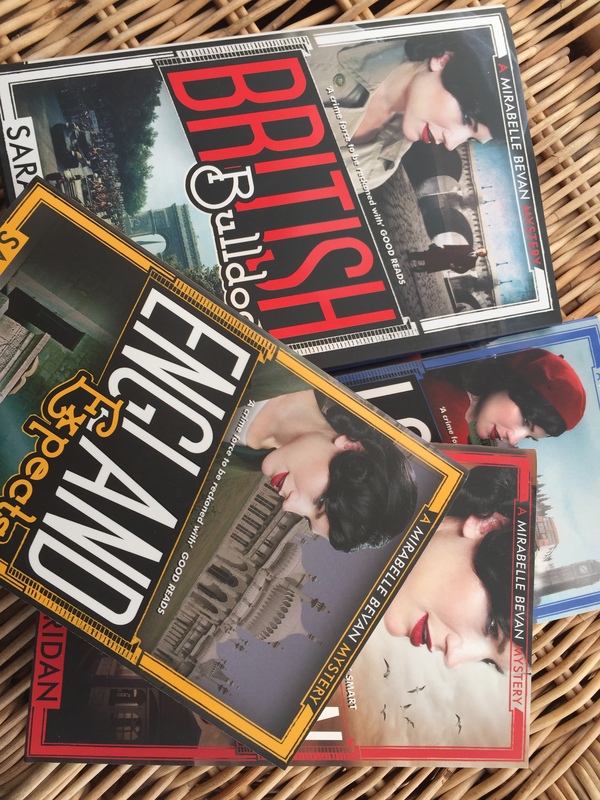 Following on from my conversation with Sara Sheridan on Tuesday, we have a brilliant giveaway to celebrate the publication of British Bulldog, the fourth Mirabelle Bevan mystery. 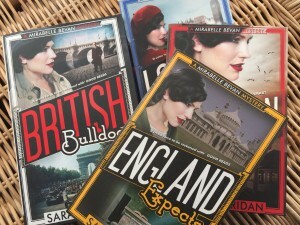 I’ll be holding a draw for a set of the first four books in the series, all signed by Sara, at the end of the month*. All you need to do is leave a comment telling me what your favourite crime novel is – you don’t have to say that it’s one of Sara’s books, she won’t be upset! Entries close on 28th September and I’ll pull a name out of a hat (well, I’ll use a random number generator but it’s the same principle) shortly after that. *A note on entry – I’m afraid that this time the draw is open to UK entrants only due to high overseas postage costs. There are four books and it would cost a fortune to send them via air mail. So sorry – I’ll try to make sure that I can include overseas readers in future giveaways if at all possible. This entry was posted in Reading and tagged book giveaway, crime writing, sara sheridan. Bookmark the permalink. Love The Eyre Affair by Jasper Fforde – and the rest of the Thursday Next series! My current favourites are the series by M J Aldridge and the JT Ellington series by M P Wright. I do like a classic, so I think “Farewell my Lovely” by Raymond Chandler is one of my favourites. Oops forgot to say it was Brighton belle which was my favorite crime book . I’d like to go for Case Histories by Kate Atkinson. And then there were none is my all time fav!